Werken bij Mövenpick Hotel Den Bosch - Jouw werk? Mövenpick Hotels & Resorts has recently (2018) been acquired by Accor Hotels as a perfect fit to expand their range of upscale brands. Since it was established in Switzerland in 1973, the brand has expanded its international presence, and today manages 20,000-plus rooms in more than 84 Mövenpick hotels across Africa, Asia, Europe and the Middle East, with ambitious plans to further expand its footprint across these continents and to meet its target of operating 125 Mövenpick properties by 2020. The brand’s global workforce of 16,000 hospitality professionals are trained to ensure Mövenpick’s heritage is kept alive, and to guarantee that the 7.5 million guests who stay with us every year experience extraordinary moments. Mövenpick Hotels & Resorts specializes in business and conference hotels in Europe, as well as holiday resorts in the other regions. Quality service and premium quality products are part of our DNA. We like to pamper our guests, an let them feel welcome like they have never experienced before. “We make moments” for our guests, but also find it just as important to create great moments for our associates as well. We listen to them, involve them, and appreciate them, all to create an enjoyable working environment together. 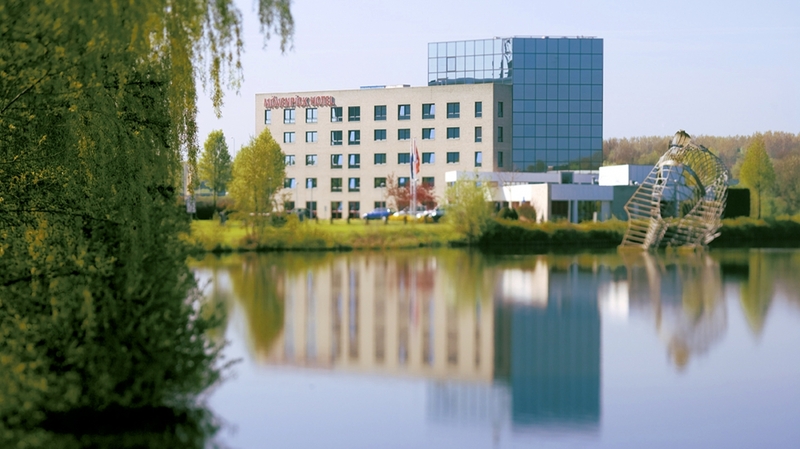 The Mövenpick Hotel ‘s-Hertogenbosch is located at the waterfront of the lake Provinciehuis just outside the historical city centre of den Bosch.The 4 star hotel was recently renovated and is Green Globe certified. It provides an ideal base for business travellers and leisure guests alike. The hotel has a seperate bar area and restaurant with a waterside terrace.